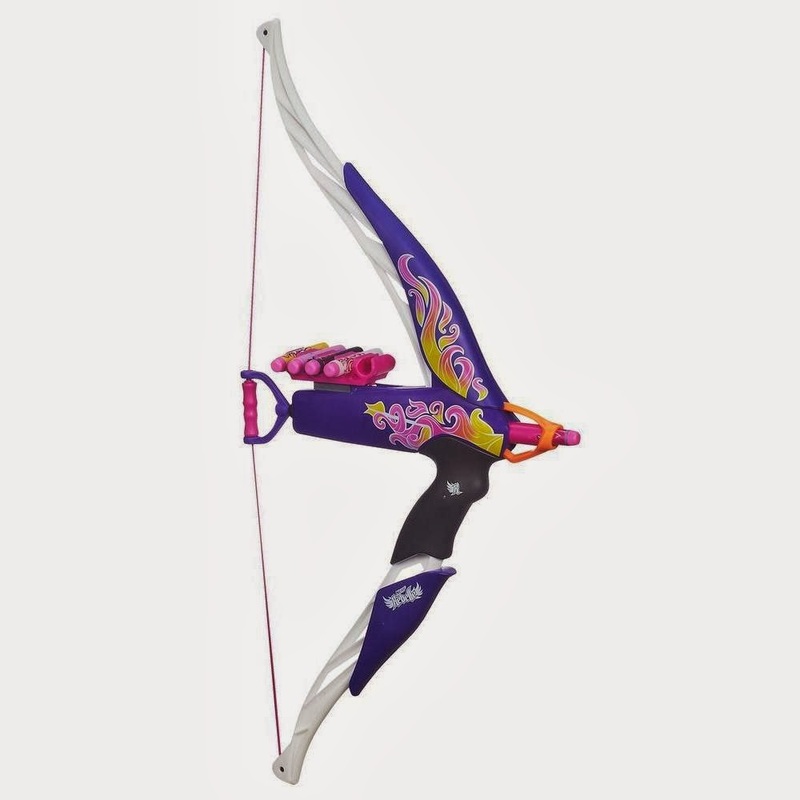 Thought I'd show this for anyone interested: stock photos have appeared for a new color Heatbreaker Bow, including on Hasbro's website. Interestingly, starting from the Rebelle home site and clicking on the bow for information still brings up the old pictures - I assume Hasbro will make the change sooner or later. Forget white blasters with bling - solid colors are in! So, if we're making more recolors of Rebelle (the Heartbreaker Bow, by the way, is #5 in Google searches for Christmas toys this season), does this mean the new product line is doing well enough to see new blasters in the future? As promised; an update on the CA shield: it works exactly as I thought. THE BLASTER IS A SERIES OF TUBES. 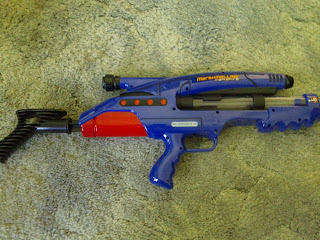 The rear handle operates a large gear mechanism that pops the shield into firing position, and a Snapfire type plunger assembly is used to propel the darts. Tiny plunger stroke, but wide tube. The trigger also operates a 5-pronged rotation gear, which alternates air flow between the two tubes (which then uses the air restrictors to select the firing barrel, like a Rough Cut or Triad). The fifth gear pushes a tab on the gear system, releasing the stored potential energy to fold everything back into the normal shield shape. 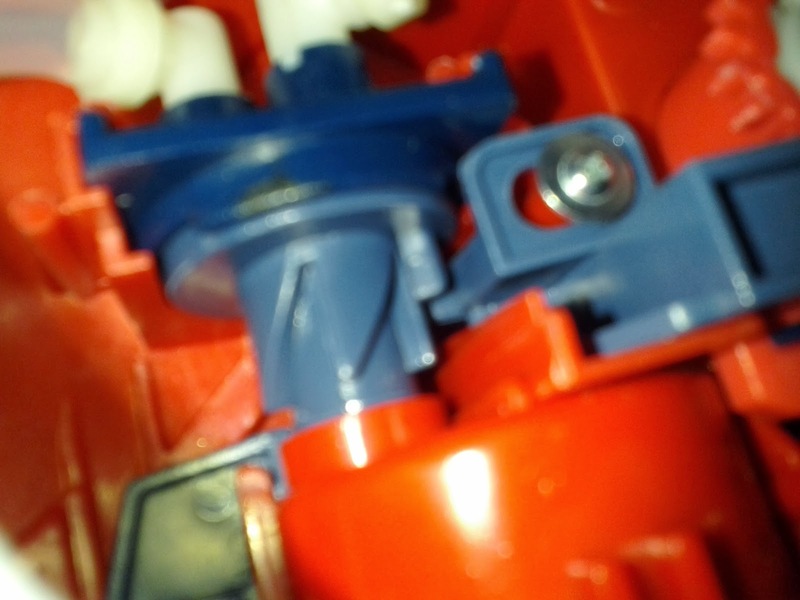 Note that extra plastic on the rotation gear. Obvious experiments include a stronger extension spring for the plunger assembly - unlike the Snapfire, you're using all four fingers to pull the trigger, allowing more force to be applied without your fingers tiring out. Efforts to shorten the tubing may also be of interest. In the end, though, I'm still afraid that complete replacement of the internals is required to make this shield really useful in a Nerf War. While many in the NIC have been finding soft releases of the Mega Magnus, I found a different item! 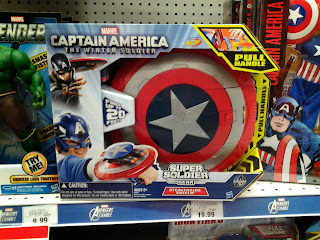 The promotional blaster for the upcoming Captain America sequel was on the shelves at ToysRUs, wating for someone to investigate. Even if these things are usually gimmicks, why not take a peek? 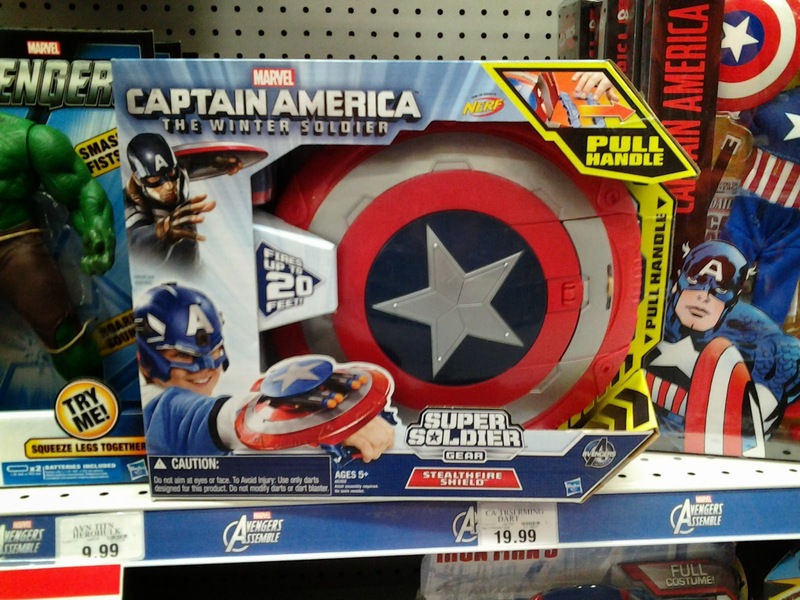 The disc launcher from the first movie's toy line was fun, if nothing else. Twenty feet is a disappointing claim, though. The helmet increases ranges by 10 feet, obviously. While browsing the internet for information on painting or dyeing plastics (I've explored dyeing clear blasters, and pSykSG made an excellent tutorial video for that), I looked into colorizing PVC. 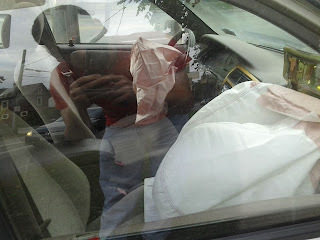 Fabric dye can do the job given enough time, but the heat needed can potentially warp the plastic if you're not careful. If you prefer actual painting skills to trying to boil large amounts of water, then THIS method seems to do the trick! 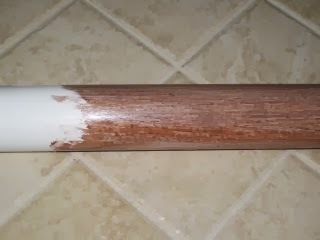 Combining PVC cleaner with petroleum dye (or any other oil-based dye) allows you to wipe the outside of your PVC of marks and manufacturer imprints, and you're changing the color at the same time. This method can be expensive if you plan on doing many colors, but it would allow some creativity for a decent price if you only do one color. Be that neighborhood kid with a red Pumpsnap! Another option stains the PVC to emulate wood grain, which can make for even cooler designs. 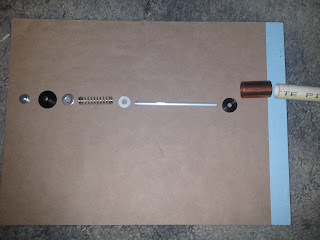 Making a bow-powered blaster? You should stain the bow arms for effect! Or just make a strange, flexible walking stick. Your choice. I'm planning on experimenting with these techniques in the future. Has anyone else in the NIC tried this before? DIY Blaster Initiative Update: First Blaster Project Complete! After building several prototypes, I an happy to announce the final model of the first DIY Air Blaster. What the hell, let's just call it the DIY-1, shall we? The DIY-1 is derived from earlier homemade designs like the PVAT and FOMAS 2.0, using a pin valve design for the air tank. 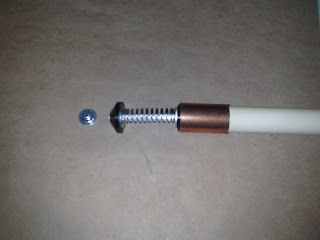 I have simplified construction as much as possible, to the point where the only tool you would need is a hammer (for forcing parts together, whether for a friction fit or for solvent welding) and a drill for the hole in the rear. 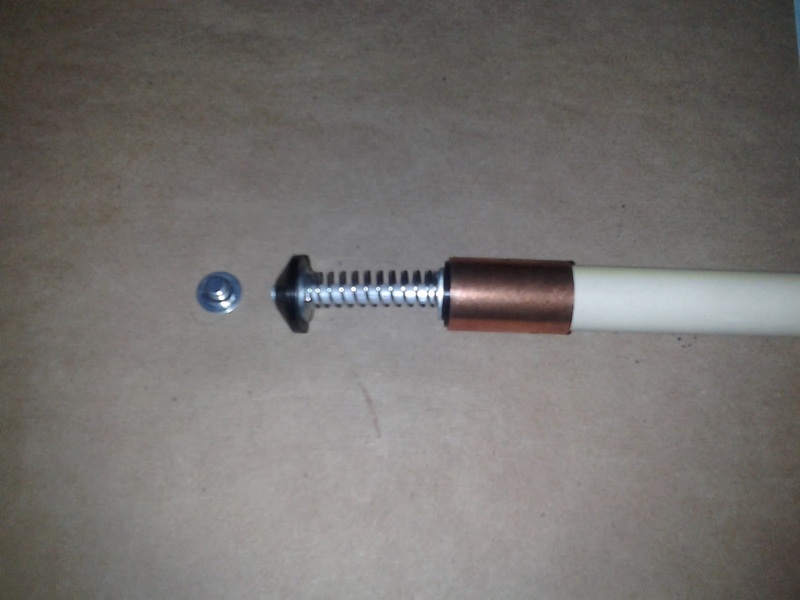 Even that isn't necessary, as the PVC end cap will be dropped in order to allow the trigger and stock to be easily attached. Oh goody! Lots of tiny parts! 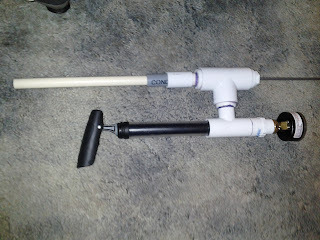 Using faucet washers, 3/16" diameter rod, and assorted parts, the valve design itself has been changed to allow placement in PVC fittings all the way down to a 1/2" tee, which provides flexibility for future variations of this design. The pressure gauge assembly will be replaced with a simple PVC bushing and a pressure relief valve, to ensure design safety. The dual action bike pump only needs 3 cycles to power darts 100'+ in the current design. 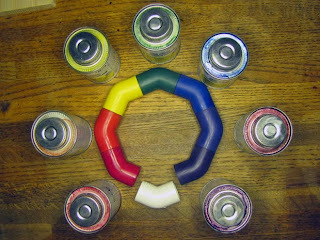 However, following a few more modifications, it can be replaced with a homemade pump, a variation of which can be found HERE. I will be updating the Kickstarter page this weekend, and hope to have things set in motion by the end of next week. In the meantime, I'll be looking for the cheapest parts possible - buying individual parts off the shelf at the hardware store comes out to only $20, in spite of the pump and pressure relief valve. I think I can go a lot cheaper, though! A suitable springer design is also in the works, so don't worry about there only being air blasters. In addition, since this is a DIY project, all instructions and related materials will be available for free online - I hope to merely provide an easy way to get all the necessary parts together for a low price. 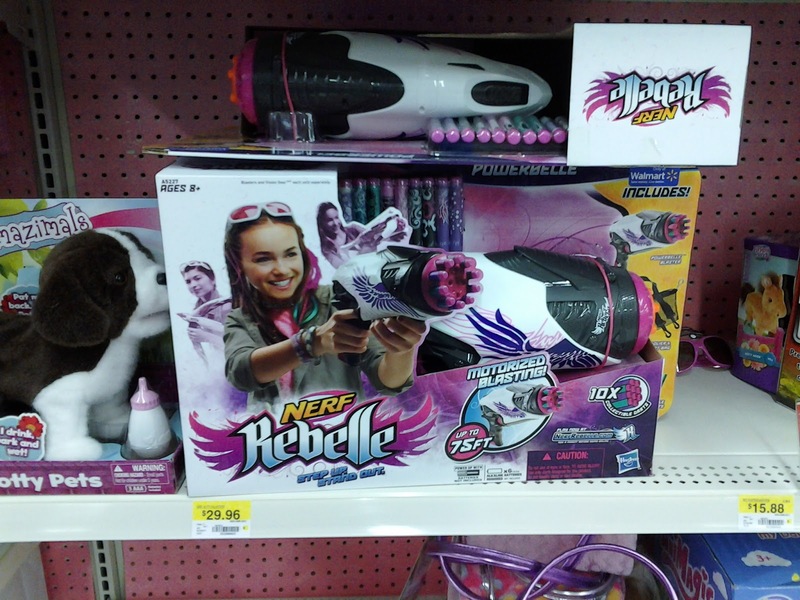 Rebelle Deals in Walmart Pre-Black Friday Sale! 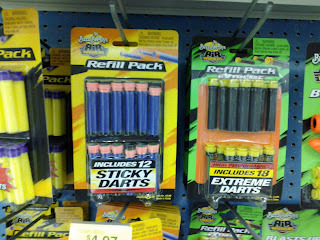 Title says it all - you can get your pink blasters for cheap! Guardian Crossbows are a measly $11.99. Sweet Revenge kits are $9.99. Yeah, grab these while the deal lasts! Heads up to Reddit user mikejonas for this find. 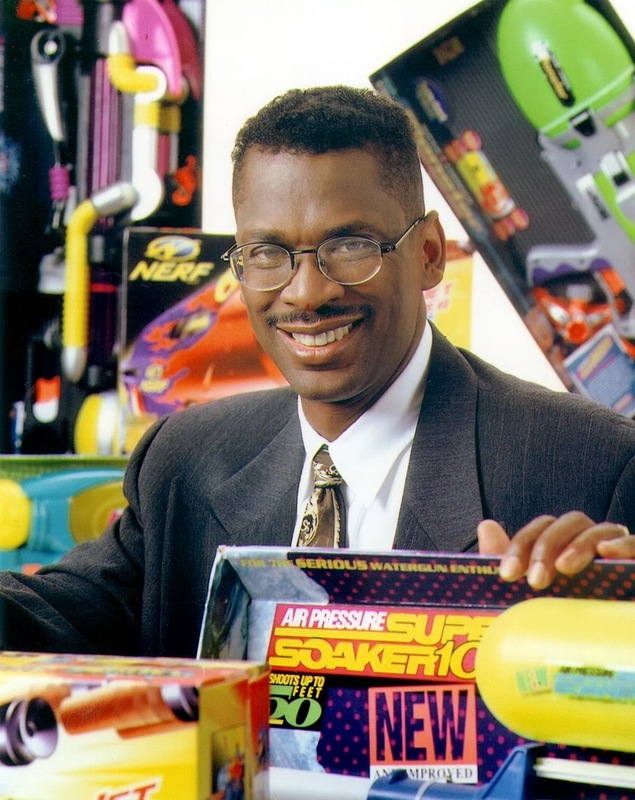 Lonnie Johnson, the inventor of the original Super Soaker, settled with Hasbro for nearly $73 million over a royalties dispute. 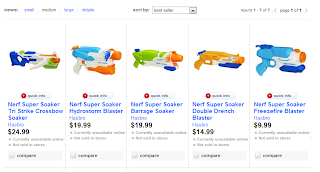 According to proceedings, Johnson was due payment for designs in the Nstrike and Dart Tag lines, along with royalties on products visually similar to his water gun inventions. Looking through his various patents, you can find that he patented the mechanisms behind the Magstrike and the Wildfire/Rapidfire 20, among many other things. Seems Lonnie invented a lot more things than we usually associate him with making. 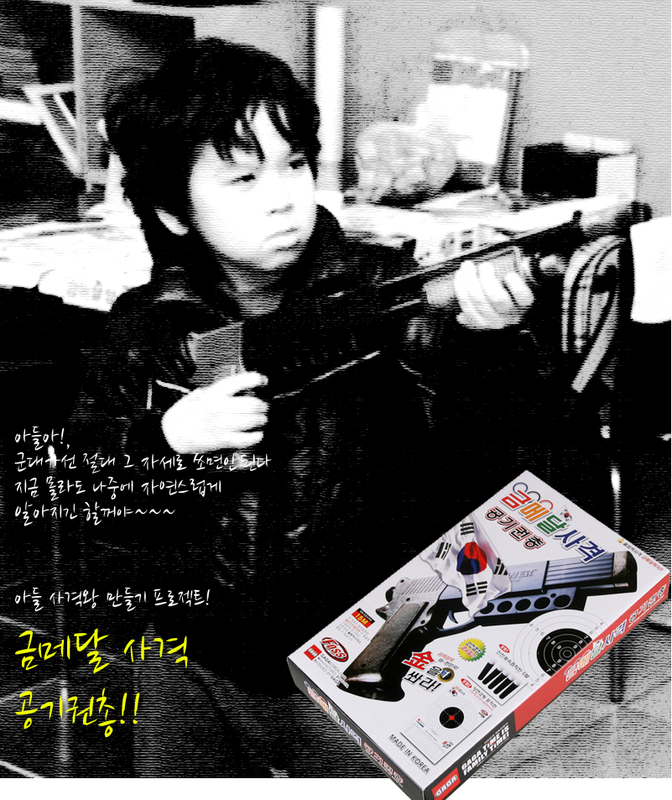 I was browsing the interwebs when I stumbled across these toy dart blasters from Korea. They appear to be marketed as sports equipment, as shown by the Olympic themes on much of the packaging. This makes plenty of sense, considering that sporting purposes are virtually the only reasons civilian Koreans have for using firearms - ownership there is rare, and the gun laws are very strict. Nerfers from Singapore can relate to this situation. Some more pictures off the website after the jump. 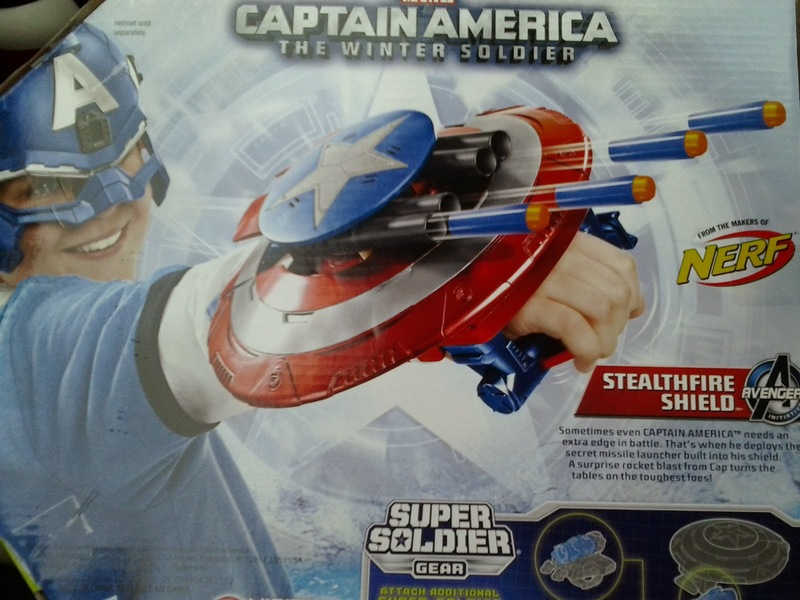 We've already seen previews on various blogs about the upcoming Hawkeye Bow and Captain America Stealthfire Shield (which promises Elite blaster ranges). 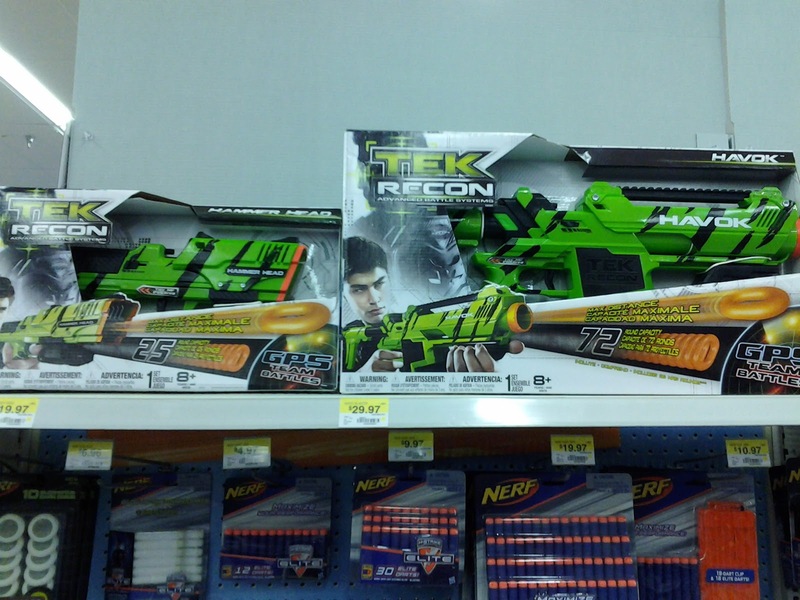 Because what Nerf fan wouldn't buy awesome stuff like this? Now, thanks to Graphic Policy, an online comic news site, and Entertainment Earth, we can confirm two more blasters! First, we have the Iron Man Flip & Fire Gauntlet. Right now, these are the only pictures I can find, but it is listed for $16.99, and is due to be available this month. 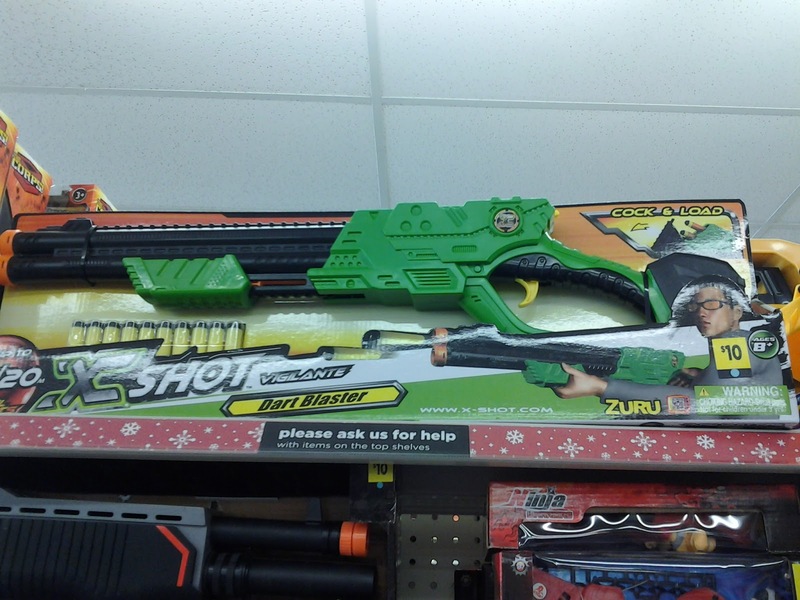 Reminds you of the classic Nerf Strongarm, doesn't it? Coming out next spring is The Amazing Spiderman 2 Motorized Spider Force Web Blaster. It's essentially a reshelled Iron Man 3 A.R.C. FX Gauntlet, and will be $19.99. 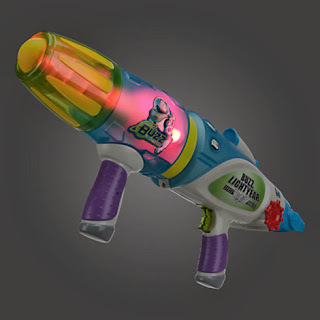 Toy Story Blasters - Special Glow in the Dark Editions! As previously covered, Lanard's licensed blasters in the Disney Store, the Zurg and Buzz Lightyear Blasters, are spectacular performers thanks to their Longshot-sized plunger tubes and strong extension springs. 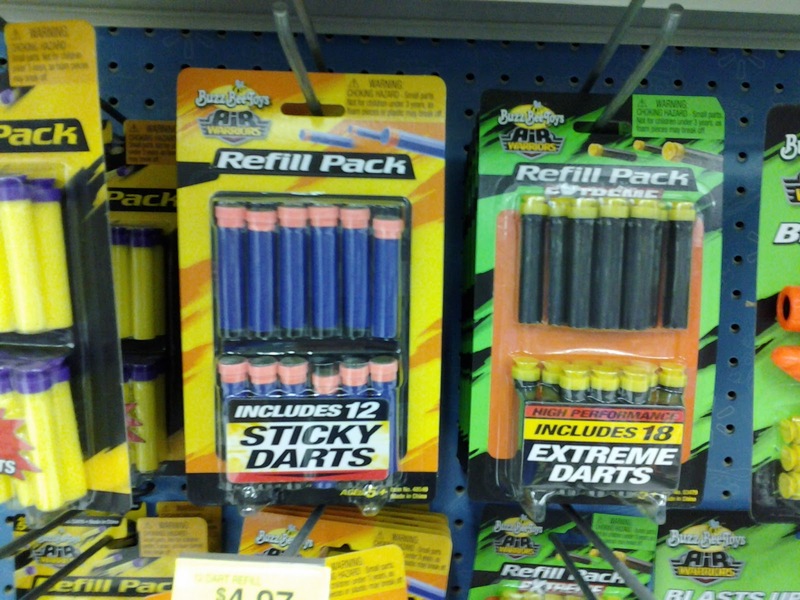 Now these blasters are available in translucent, glow in the dark shells, akin to Lanard's Clear-X line. Each one is available for $25 - a bit pricey, but worth it once you take into account both the licensing costs and the actual blaster performance. 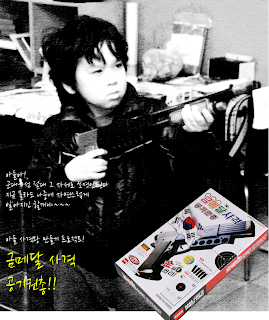 Links for the Buzz and Zerg Blasters are here and here, respectively. 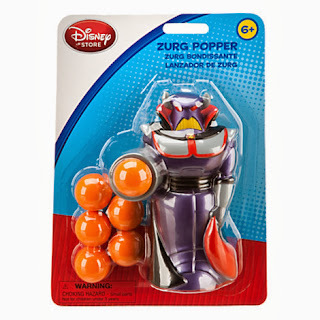 Finally, if you're really into novelty items, there's an Emperor Zurg Popper available for $10! Well, it's that time of year again! Many stores do not have their toy catalogs or Black Friday advertisements published yet, but here's a few that have been spotted so far! These come from smaller store chains - Fred's, Mill's Fleet Farm, and Blain's Farm and Fleet. Blain's Farm and Fleet: Decent Heartbreaker Bow and Rapidstrike prices. Lastly, two pages from the Mill's Farm Fleet. Good prices all around, but especially on the Buzz Bee blasters. 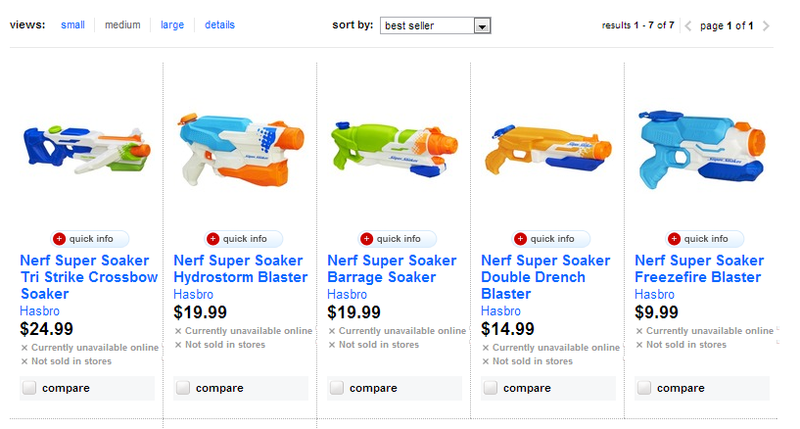 Sightings of next year's Super Soaker blasters have popped up here and there, but Target has posted early listings online! Pics of the box art after the jump! Inventory Updates: $10 Huntsman Boomstick, and a 360° Camera! 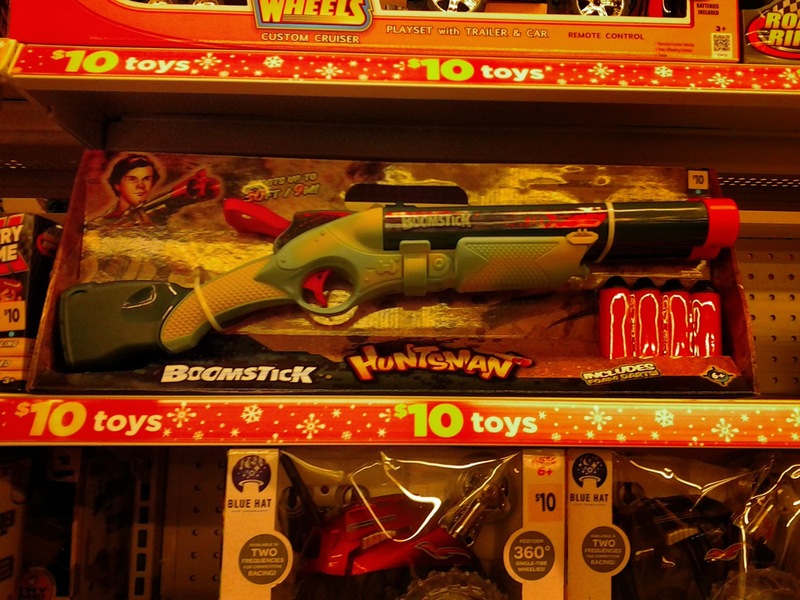 Well, first things first: another Lanard Huntsman blaster has been spotted on shelves! More importantly, it's far cheaper than online prices have reflected thus far. Most online prices for this have been $16-$20, not including shipping. This was at Dollar General, of all places. 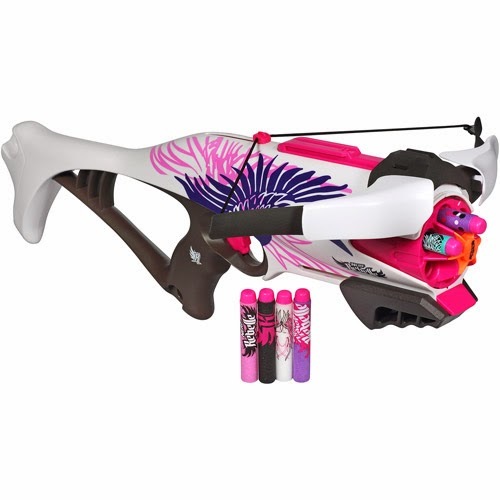 There seems to be an online inflation trend with Lanard blasters, considering that we've seen the Swiftstrike Crossbow at Walmart for $10, but for $20 online. Seems that we'll just have to track these blasters down if we want the best prices possible! I stopped in Family Dollar today, to see if there were any oddities in stock. After all, it's far from being a Walmart or ToysRUs, but the low price point mean that it tends to get off-brand blasters. 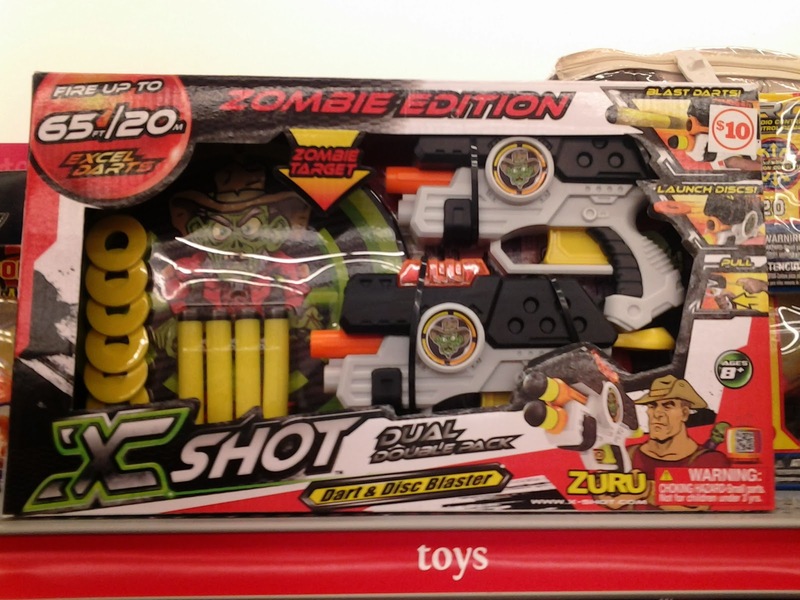 Turns out Nerf isn't the only brand venturing into undead territory. Interestingly, the original Vigilante claimed 65 ft. ranges. 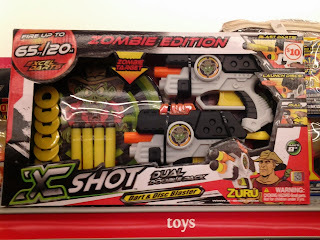 Zuru's X-Shot line has a cartoonish take on the zombie apocalypse, as you can see on the packaging. 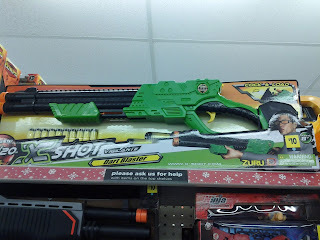 The Vigilante is marked up to $20 for some reason (I've seen it for $10-$14 elsewhere). Meanwhile, the Dual Double Pack is still $10. 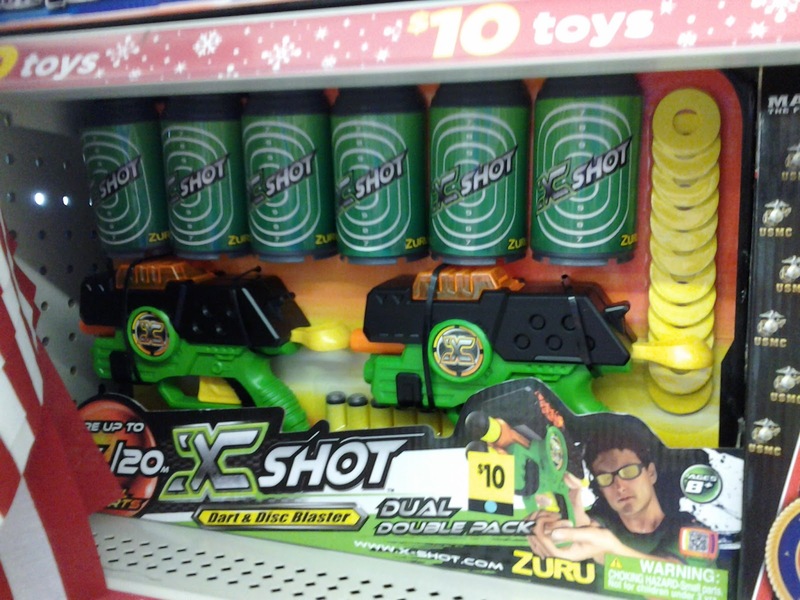 Same range claims for these blasters, though. This edition isn't advertised on the X-Shot website, so this is definitely a new promotion. 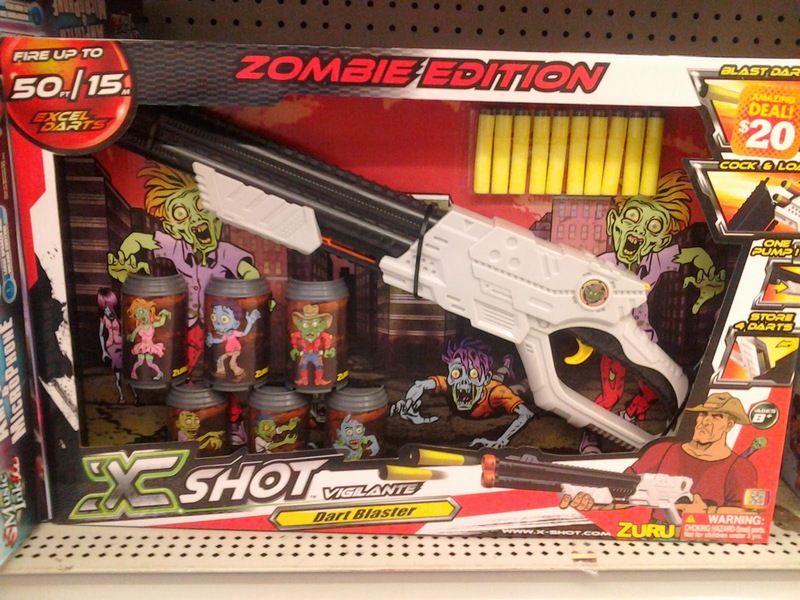 No word yet on whether other X-Shot blasters get the same treatment. Note that the only visible difference on the blasters themselves is the replacement of the "X" stickers with zombies. If you already have these, I personally see no reason to pick up new ones just for that. So, despite the $60 price tag, I bought one product from the Vehicles of Mass Destruction line, the Missile Launcher. I have yet to officially test it, but I do have internals! As you can see, the turret consists of a large diameter pump, a large air tank, and a valve not unlike a Marshmallow Blaster. 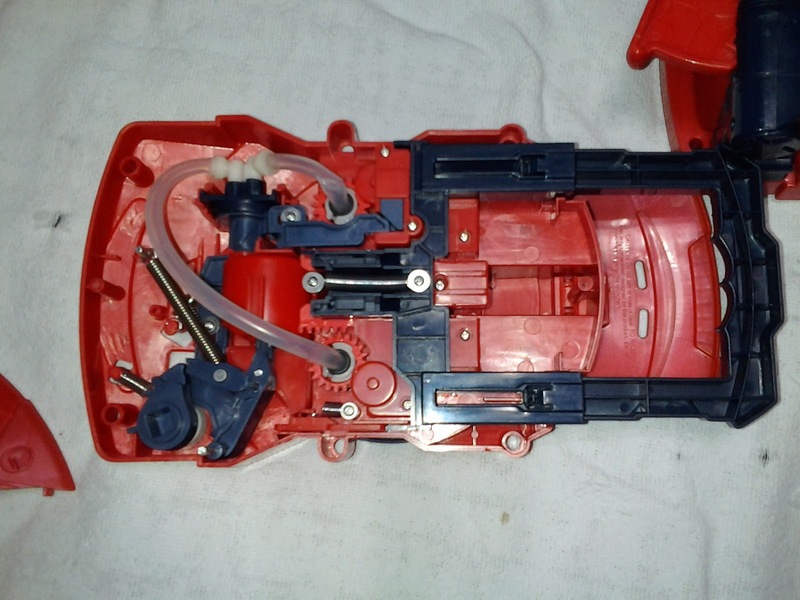 However, instead of a trigger to operate the valve, the Missile Launcher uses a small electric motor to push on the catchpiece. The large diameter pump may be an issue - the surface area involved means you have to push harder on each stroke than you would a smaller diameter pump. 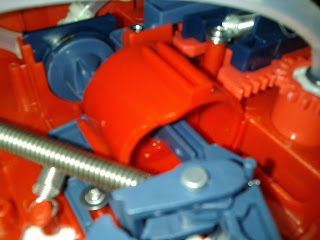 It also means you can't just grab the toy and pump it; you have to get a grip on the shell directly underneath the pump. A bit more disassembly remains, but the large tank and familiar valve mechanism are good signs. Just thought I'd post a teaser for you guys. College keeps me busy, but I'm slowly making progress. Air Zone Quickfire Eaglet Impact X - First Look! I grabbed one of these blasters on the way home from college yesterday, expecting a stylish Buzz Bee Hawk re-shell. When I took everything out of the box, however, it became clear that my assumption was false. First, the shell has "Prime Time Toys" molded into the shell, so a completely different company is making this blaster for TRU. The shells are a much different design than Buzz Bee's typical shells. And, as you can tell by looking into the magazine well, there isn't any kind of tubing going from the front of the blaster to the air outlet. So it's not using the Buzz Bee setup I expected, either. The blaster shoots decently, although I have yet to do real range tests. I did, however, open it up. The internals are...workable. 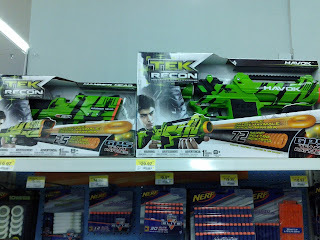 That is, in fact, a reverse plunger similar in fashion to the Nerf Recon and other Nstrike blasters. If anything, this setup at least leaves the entire bottom of the shell open for internal replacements, should I decide to convert to a normal plunger. While I'm at it, let's share the rest of the new Air Zone crop - which is pretty rotten, to be honest. All three are existing Lanard designs, and for the average Nerfer are products from which you should steer clear. The Over Under is a slamfire-only blaster, without a trigger and with bad ranges. 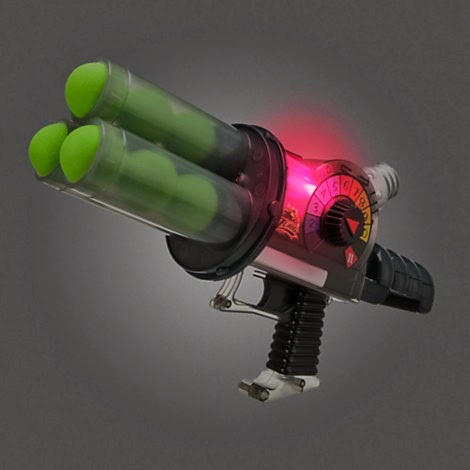 The ball blaster works, but isn't worth anything other than for messing around. The disc shooter is rapid-fire (possibly good as a gift for younger kids), but is abysmal in performance.